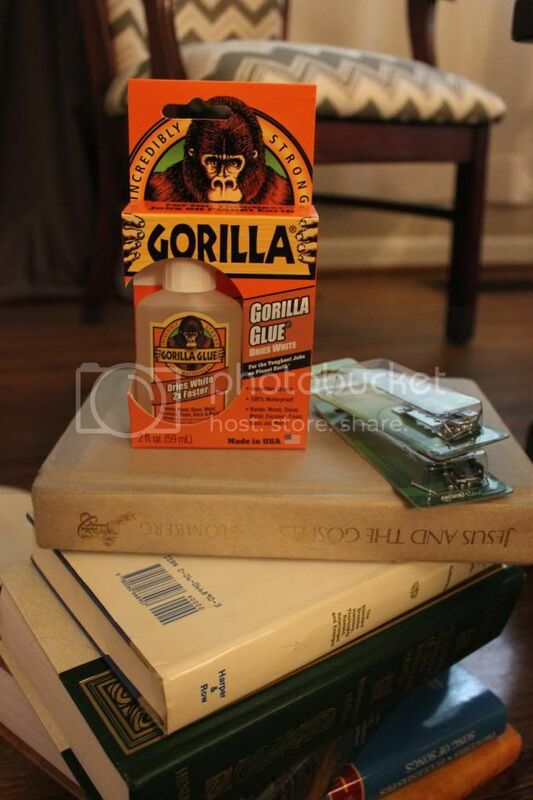 I love the juxtaposition of modern, rustic, vintage, and classic in home decor. 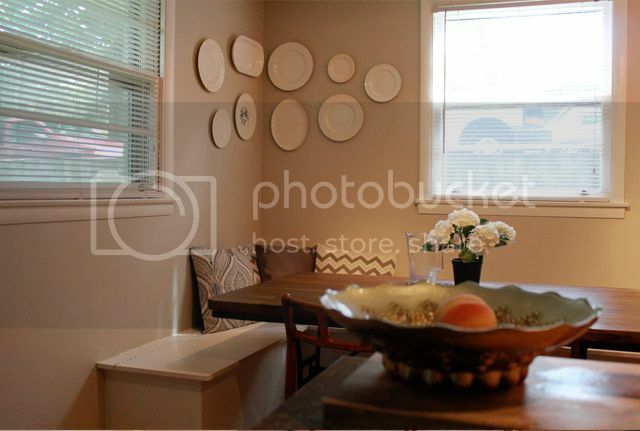 That's why I thought a classic white plate wall would be the perfect accent above our kitchen banquette with industrial table and mid-century modern chair set. 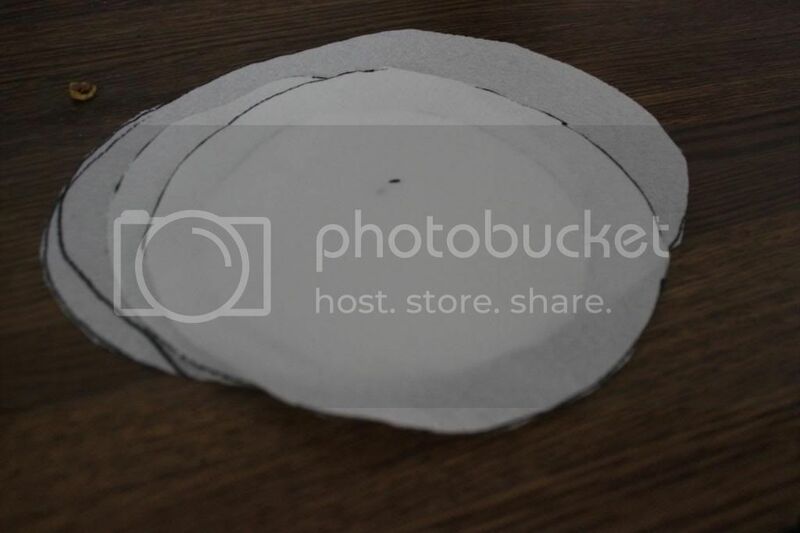 I collected white plates of all shapes and sizes from thrift stores, yard sales, and Home Goods. 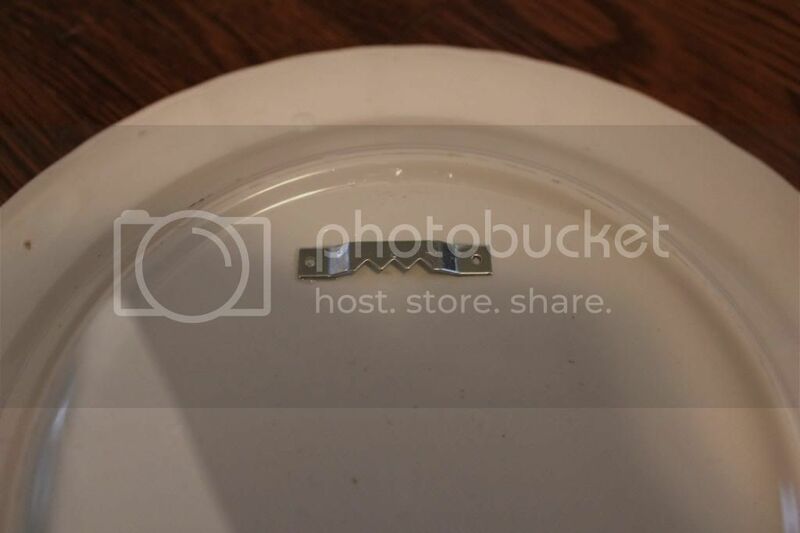 But here's the thing: plate hangers get expensive quickly. And when I spent an average of 2 bucks per plate, it wasn't worth it. 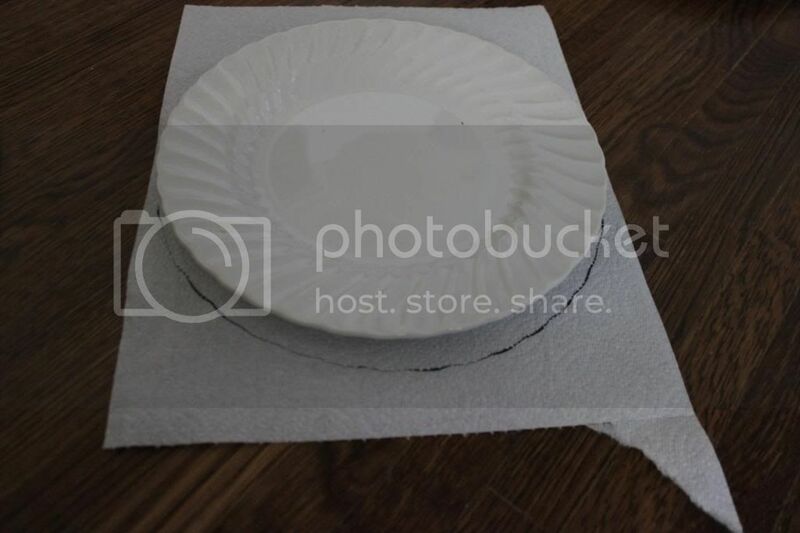 So, I did some research on how to hang plates without purchasing plate hangers, and I discovered Gorilla glue. 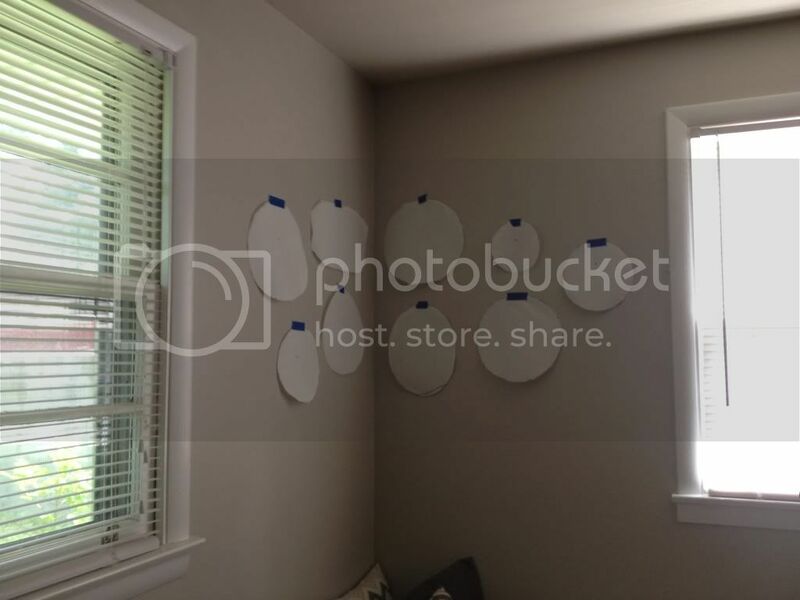 AND THEN I WOKE UP THE MORNING AFTER HANGING THE PLATES TO FIND TWO OF THEM HAD FALLEN OFF THE WALL!! 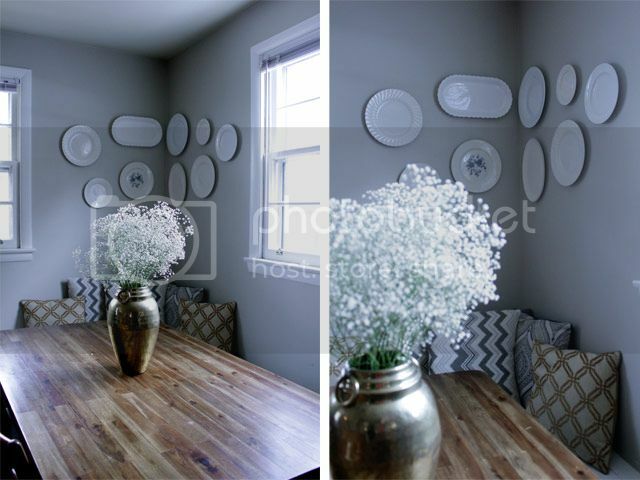 - Don't be afraid to add in a small touch of color with a white plate wall. I chose one plate with blue flower accents and a platter with a silver rim. 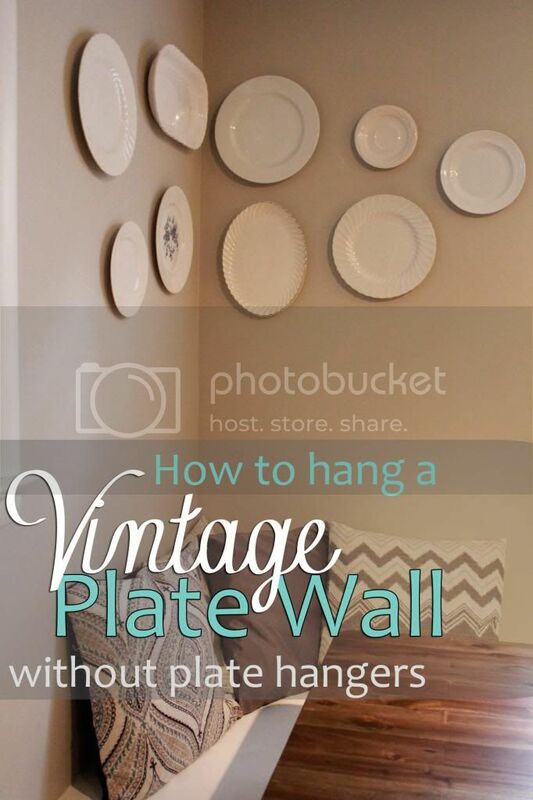 - Choose plates with a variety of sizes and shapes - Don't hang the plates symmetrically. You only live once. Change things up a bit. - It's ok to mix cream with white. 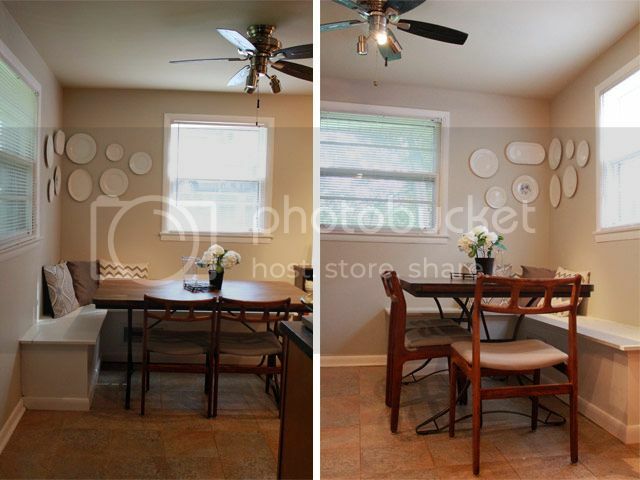 Who came up with the idea to hang plates on a wall anyway? I don't know but I like it. 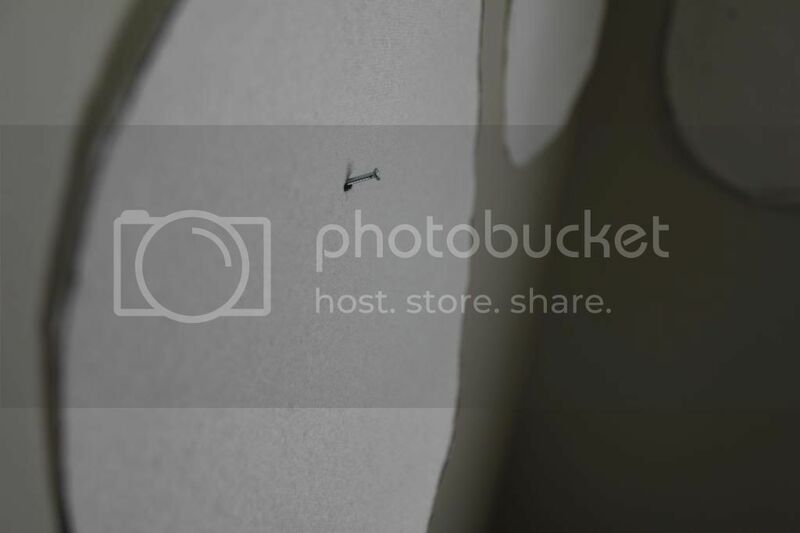 update: See how the plates are holding up after several months of use!